I’ve been on a serious bear kick lately. A day or so ago, I finished Ood Bear (my 92nd). I made the dress by doubling leftover sock yarns; one gray, one sparkly gray and purple. The maroon yarn is leftover from the Wee Boy’s Dr Who Halloween scarf. 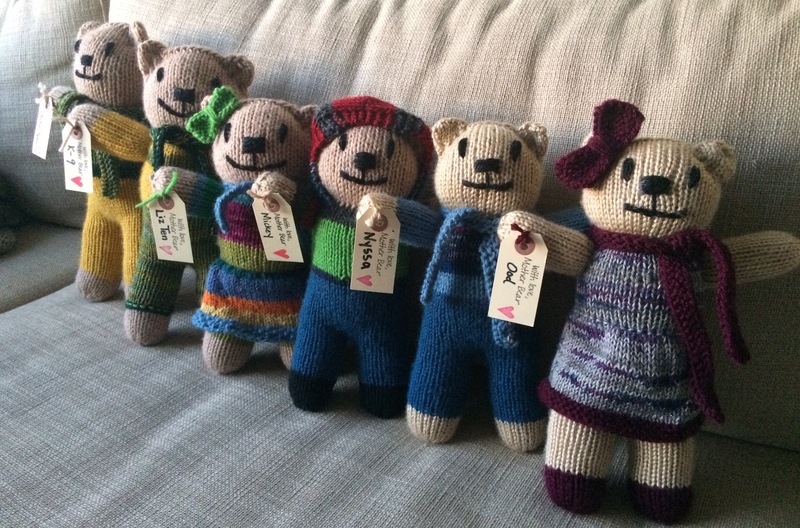 And here she is with 5 other recent bears, ready to get packed up and shipped to Minnesota! You have a heart of gold, Marissa. 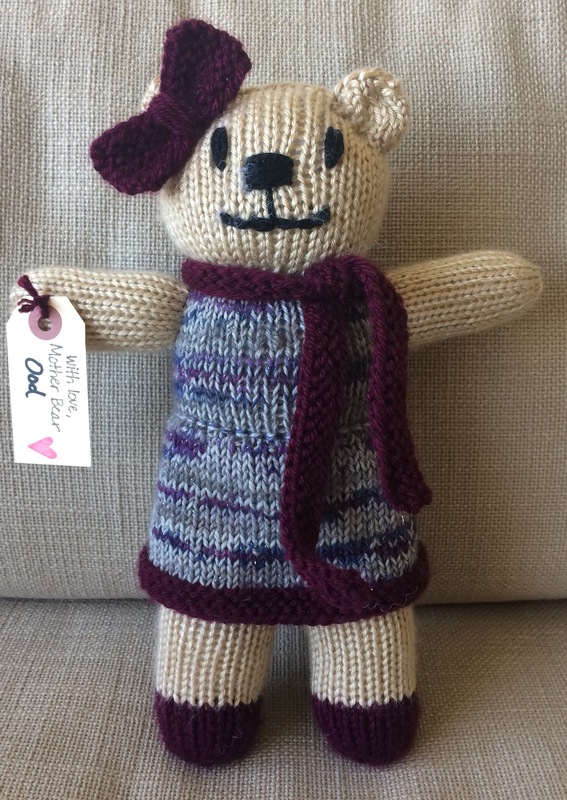 I probably won’t start my bear until after Christmas.